The National Biodiesel Board (NBB) has honored Christensen twice within the last year for his achievements. At the Biodiesel Technical Workshop in November 2017, Christensen was named Biodiesel Researcher of the Year. 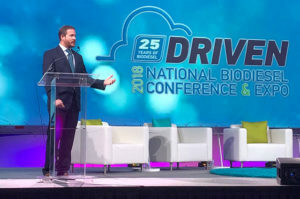 Then at the 2018 Biodiesel convention, NBB honored him with the Eye on Biodiesel Innovation Award. Christensen’s tests indicate that biodiesel can achieve a stable shelf life of one to three years on its own, depending on the specifications of the particular fuel. “The composition of the biodiesel itself is important. The more unsaturated a fuel is, the faster it is going to oxidize, so unsaturated products like linseed oil and fish oil won’t have as long of a shelf life as something like butter, but butter is a solid at room temperature, so there is always this balance between cold flow and stability. Producers of high-quality biodiesel are adept at adjusting fuel specifications for the intended applications, Christensen said, and fuel buyers can generally specify the stability standard they need. The fuel’s certificate analysis will include the oil stability index (OSI), which is a reliable indicator of stability. “As long as it’s on spec, you can count on it being fine for six months or a year. In longer-term scenarios, that where’s you monitor the fuel,” he said. If the oxygen reserve is low, users can add more antioxidants to extend the fuel’s life, which mirrors common practices for many petroleum products. “Once you have a fuel that is in storage for a while, and you see the stability start to drop, you add a certain amount of additive and mix or churn it to disperse it, and this extends the useful life of the fuel,” he said. Every situation is different. For example, the National Fire Protection Association (NFPA) requires that biodiesel blends used for fire suppression systems be periodically tested. NREL is working to improve the testing standards the NFPA uses to ensure that test results are reliable. A reliable testing regimen could even enable the use of biodiesel in ultra-sensitive applications such as backup power for a nuclear power facility. AMES, IA – Biofuels are a reality for today’s fleets. Should you use them, should you not? To find some clarity on the matter, Troy Shoen, senior manager of marketing for Renewable Energy Group Inc., sounded off on five ways biodiesel can help your fleet. Fleets throughout North America are running on biodiesel blends of up to 20%. They wouldn’t be doing that if the renewable fuel hurt their performance. Biodiesel does not harm engines, and it can actually outperform petroleum diesel in some areas. For instance, the ASTM specification for biodiesel requires a minimum Cetane number of 47. The ASTM diesel spec is 40. Higher cetane equals a shorter ignition time and better performance. Also, the removal of sulfur in ULSD also took the lubricity out of the fuel. Adding as little as 2% biodiesel—a B2 blend—can double the amount of lubricity in the fuel. This too is critical for performance because modern diesel engines rely, in part, on fuel to aid in the lubricating process. Biodiesel blends can significantly lower a fleet’s emissions, as Dr. Dave Slade of REG noted in a recent Fleet Equipment column. A B20 blend has been shown to reduce particulate matter and carbon monoxide emissions by more than 10% and unburned hydrocarbons by more than 20% in heavy-duty highway engines. Public and private fleets are increasingly facing pressure from internal and external stakeholders to reduce their carbon footprints. Biodiesel is a potential solution for them. This is largely related to biodiesel’s environmental advantage over petroleum. Today, it’s common for companies and governments to have sustainability plans that apply to both their operations and the vendors they use. Walmart, for example, has a stated goal of reducing emissions in its supply chain by 1 gigaton by 2030. Another example comes from for-hire carrier G&D Integrated, which says RFPs are now asking about sustainability initiatives. They have even won business for their use of biodiesel blends. Besides giving you an advantage in bidding for jobs, biodiesel can sometimes pay off just with its use. Several states offer financial incentives for the blending, use or sale of biodiesel. Illinois, for example, offers a 20% exemption from the state’s 6.25% sales tax for biodiesel blends of 1 to 10%. That increases to a full exemption of the sales tax for blends of 11% or more. The federal government also has biodiesel incentives. 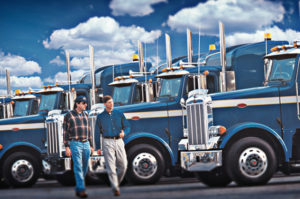 Want to start running your tractor trailer or work truck on B20? Just pump it into your tank. Biodiesel blends don’t require any vehicle upgrades. If you operate your own fueling site, biodiesel is also an easy switch from a supply and infrastructure standpoint. If you want blended fuel, ask your current diesel supplier if they can get you product. Some biodiesel producers, including REG, also supply blended fuel. If you plan to do your own blending, you will need a dedicated biodiesel storage tank and blending system. While the initial cost may seem expensive, the return on investment is often achieved in only six to 18 months. EUGENE, OR – Carbon reduction matters to environmentally conscious consumers, and they will use their buying power to make it happen. If a fuel company can claim an 85% reduction in carbon intensity vs. petroleum, it stands to attract a lot of activist customers. That is exactly the value proposition at SeQuential. 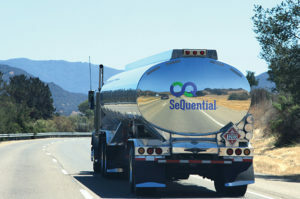 The Eugene, OR-based biodiesel company is achieving an outstanding “carbon score” by collecting used cooking oil, refining it efficiently, and selling finished product to both wholesale and retail channels across a tight geographical footprint. During winter, the company proactively adjusts its dispensers and works with wholesale customers to blend down their tanks. “We want to make it an easy process for them, and the best winterizing agent available now, unfortunately, is petroleum diesel.” Years of experience have shown SeQuential and its customers that B20 works well year-round, even in the dead of winter. NEW YORK, NY – Every movement needs its allies, and biodiesel has some of its most important backers in New York City. The largest city in the United States has been a bold leader in biodiesel adoption, and one of the key players is the New York Oil Heating Association. NYOHA’s Board of Directors and their Chief Executive Officer Rocco L. Lacertosa and his predecessor, John Maniscalco have made the association an essential and vocal supporter of biodiesel blending. With the oil dealers themselves stepping to the podium time and again and meeting with lawmakers to advocate for new fuel standards, New York’s environmentalist policymakers have had the wind at their back. The results have been phenomenal for the biodiesel industry. Since 2012, New York City has had made biodiesel part of its uniform fuel standard for heating oil, while also adopting biodiesel widely in fleets and setting the stage for Bioheat adoption in three adjacent counties. The breakthrough event occurred in 2010, when the New York City Council, led by Council Member James Gennaro, adopted legislation changing the city’s heating oil standard to B2, effective in 2012. Given the enormous mass of New York’s heating oil consumption, a 20-million-gallon biodiesel market was born, and the biodiesel industry had its East Coast beachhead. While the victory was an immense one, the biodiesel advocates at NYOHA and within the city government were just getting started. The first wave of biodiesel champions, Maniscalco and Gennaro, left the stage with their victories intact, and their mantle was picked up by Lacertosa and City Council Member Costa Constantinides. In 2016, the City built on its B2 success story by passing the landmark local law Intro 642-A, which changed the heating oil standard to B5 in 2017 and enacted incremental increases that will culminate in a B20 standard in 2034. The City is also using B10 biodiesel in sanitation vehicles and firetrucks, and there is a study under way of biodiesel usage in ferries. “This is a great victory for all New Yorkers and, of course, for our members,” said Lacertosa. NYOHA’s successes were closely watched by oil dealers in the greater New York metro area, and in 2017, NYOHA’s confederates in the Downstate region led a drive at the Statehouse to make B5 the new fuel standard for Nassau, Suffolk, and Westchester counties effective later this year. Together with New York City, the region is home to 1.3 million oil-heated homes. The switch to B5 in New York City alone raised biodiesel demand to 50 million gallons last year. As the adjacent counties come online and the City’s biodiesel blend standard increases to B20, the biodiesel industry will have a concentrated market measured in hundreds of millions of gallons. When NYOHA first emerged as the leading voice for biodiesel blending, its members were acting in self-interest. Heating oil had a target on its back, because environmentalists were pushing hard to reduce harmful emissions from the City. The long-running pursuit of cleaner air was converging with the emerging sentiment to make the city a leader in climate change, and petroleum was in the crosshairs. Rather than sit back and let others decide their fate according to their petroleum-hostile agendas, NYOHA’s leadership elected to push for a seat at the table. The association showed the region’s environmental advocates that they could make great progress by addressing fuel quality instead of focusing exclusively on fuel conversion. NYOHA successfully pursued two vital changes to fuel standards. One was blending biodiesel into the fuel, and the other was reducing the sulfur content. On-road diesel and other distillates were already in the process of converting over to ultra-low sulfur, as mandated by the U.S. Environmental Protection Agency (EPA), and the oil dealers saw an important opportunity. NYOHA and the state’s other OIlheat associations successfully pressed the state to make ultra-low sulfur (15 parts per million) the standard for heating oil statewide. 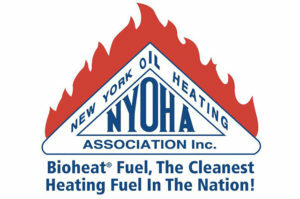 With both victories in hand, New York City became the home of what NYOHA called “Clean 2,” a one-of-a-kind ultra-low-sulfur Bioheat® Fuel blend that was the cleanest heating oil sold anywhere in the country. “We are now the epicenter of this whole movement, and we have built a great market for biodiesel,” Lacertosa said. “There was some hesitation in the beginning, but now everyone seems to have warmed up and embraced it,” he said. Biodiesel suppliers have taken advantage of the Bioheat standard to build out a robust infrastructure of terminals around the City. “As far as I know, no one has had any trouble securing biodiesel supply,” Lacertosa said. The city’s legislation calls for waivers of biodiesel requirements in an emergency, and that option was invoked in the wake of Hurricane Sandy in 2012. “We were having trouble just getting diesel into New York Harbor at that time,” Lacertosa said. Through its advocacy, NYOHA has gained an impressive list of political allies, such as the National Resource Defense Council (NRDC) and the New York League of Conservation Voters, who have welcomed the oil dealers’ leadership on the environment. The National Biodiesel Board (NBB) has supported NYOHA every step of the way and expressed its gratitude. In 2016, the Board honored Maniscalco with a Biodiesel Pioneer award, and last year Constantinides won a Climate Leader award from NBB. CAMBRIDGE, MA. 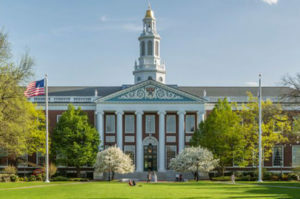 – Harvard University strives to be a leader in sustainability among universities and institutions, and biodiesel is an important component of its clean energy portfolio. The Cambridge, MA, university has an Office of Sustainability that sets standards for the university and has published a 36-page guide for all departments to follow. Harvard President Drew Gilpin Faust tours the country and the world to talk about sustainability at universities and other institutions. The biodiesel program has earned the university recognition as a leader on the environment. In 2008, the National Biodiesel Board honored Harvard with an Inspiration award, and in 2016, the U.S. Environmental Protection Agency’s Region 1 bestowed an Environmental Merit award on the university for its outstanding efforts in promoting New England’s environment. The Office of Sustainability is a fairly recent creation that grew out of Harvard’s 2004 Green Campus initiative. During that initial push, Harris answer the call with a proposal to convert Harvard’s 90 diesel-fueled vehicles to B20 biodiesel. The university green-lighted the project, and the fleet manager signed up World Energy and Dennis K. Burke as fueling partners. The fleet department set up a 24-hour self-service biodiesel fueling station with a 2,000-gallon dedicated outdoor tank, and quickly emerged as a leading biodiesel user in the region. World Energy supplied virgin stock vegetable oil at the outset, to help Harvard comply with the ASTM standard that was recommended at the time by the National Biodiesel Board. Dennis K. Burke created the B20 blends. “Back then we were looking for a fuel that was renewable and cleaner burning, and we were looking to reduce our dependence on foreign oil,” Harris explained. Before making the switch to B20, he had looked into compressed natural gas (CNG), which was the only competing option. “The infrastructure costs for CNG were too high,” he said. “You would have to transition over and retrofit your equipment and your facilities. It was certainly cost prohibitive. If he owned a diesel vehicle, he would like to be able to drive it coast to coast and find biodiesel at every filling station. “Even as we find cheaper ways to extract oil and become exporters of oil, we can still find a place for biodiesel, because it’s a sustainable fuel,” he said.